The menu of celebrity chefs running restaurants on Long Island has grown as lengthy as a North Fork wine list—tasty news for foodies who like their meals garnished with star power. Sure, the ability to prepare mouthwatering meals is a more important skill for chefs than how many cookbooks they’ve published or reality shows on which they’ve appeared. But such media exposure is generally a prime indicator that the culinary artists are serving up world-class cuisine—bad chefs don’t tend to win cooking shows or book deals. 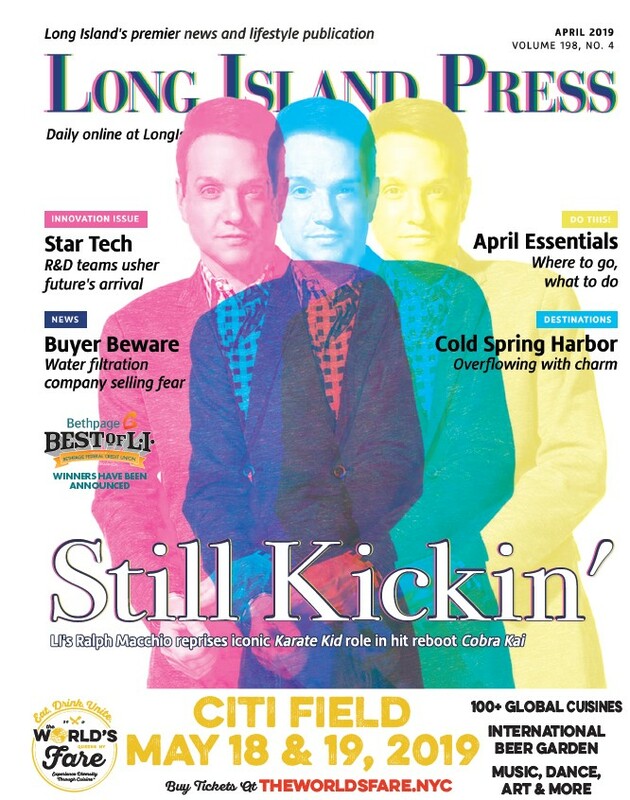 With styles ranging from international fusion to bistro fare, here is a list of 13 celebrity chefs on Long Island. Bon appetit! Cooking was of great value in the Psilakis family. Chef Michael Psilakis was taught by his mother at an early age everything there is to know about classic Greek flavors and techniques. His father set up an enormous BBQ in the backyard and taught him how to roast whole lambs on a spit. These early lessons proved to be favorable to his career in the kitchen. Psilakis has won numerous award, including Food & Wine’s Best New Chef and Bon Appetit’s Chef of the Year in 2008, among other accolades. His restaurant in Roslyn—billed as his modern interpretation of a traditional Greek tavern—is the first of three locations, the last of which opened in Astoria. He also owns two Manhattan restaurants: Kefi and FishTag. Chef Philippe Corbet was born into the culinary arts scene. His grandfather and brother were both chefs, his uncle was a pastry chef and his mother excelled in the kitchen. After graduating top in his class from culinary school in his native France, Corbet worked for a range of Michelin-starred restaurants. At the age of 24, he arrived on Long Island, where he worked at the Stone Creek Inn before becoming executive chef at Bouley Restaurant in Manhattan. There, his culinary passion boiled over, and he brought his cooking game back to LI, where he became the executive chef and managing partner of O’s Food & Wine Bar in St. James. Now, he heads up Roots Bistro Gourmand, where Corbet’s love of the culinary arts has flourished. Todd Mitgang followed his devotion of the culinary arts to the French Culinary Institute, which landed him in the role of sous chef, then executive chef at Lisenda, a seafood restaurant. Then, in 2004, Mitgang accepted a position at SoHo’s Kittichai, where he was promoted to sous chef within a week of the grand opening. Later he was promoted to chef de cuisine. Aside from this casual seafood/American restaurant in the heart of downtown Montauk, he also owns the creative and crowd-pleasing Crave Fishbar in Manhattan. But since his outpost at The End is seasonal, fans will have to wait until spring to sink their teeth into their famous Olive Oil Braised Baby Octopus Tacos. Chef Rosa de Carvalho Ross (Lo San) was born and raised in British Hong Kong, where she was drawn to the art of cooking while being immersed in Asian and Western culinary cultures. She has traveled extensively and lived in Europe, Asia, South America and the United States, and studied with great chefs, such as Marcella Hazan in Italy and James Beard in Greenwich Village. Aside from teaching classes in French, Italian, Asian and Fusion cuisine, she also has authored several well known cook books and appeared on cooking shows on the Food Network and The Discovery Channel. The view of the historic harbor from the whaling-themed waterfront eatery is second only in awesomeness to the Asian-inspired, seafood-centered menu pulled from fresh, local ingredients. Chef Michael Aeyal Ginor has received some of the greatest honors in the culinary world for his outstanding creativity and masterful culinary skills. His most recent success is a Mediterranean restaurant named Lola. Opened in 2007, Lola is regarded as one of Long Island’s best restaurants and has received top ratings from The New York Times and Food & Wine Magazine. And aside from its simply great food, the ambiance can’t be beat—with singers performing regularly and old flicks frequently screening in the background. Chef Tom Schaudel has been commanding attention and taste buds for decades. Since graduating from The Culinary Institute in 1973 and working at several restaurants, Schaudel opened up his first restaurant, Panama Hatties, in 1983. He has also been the leading inspiration for well-respected venues such as Jewel by Tom Schaundel in Melville, Petulant Wino in Aquebogue, Be-Ju in Melville, and Alure in Southold. In addition to creating menu’s that feature the four seasons, Chef Schaudel has also created his own line of wines. He has been featured on several television networks such as Food Network, Metro Channel and local channels. Nader Gebrin is the chef/owner of Bravo Nader, a small Italian restaurant where he is renowned for his seafood culinary skills. He has traveled the globe in search of the best fish and tastiest recipes. Thanks to his three years of culinary school experience from Luzern, Switzerland, he proves his passion for cooking with every dish he creates. In addition, Nader also offers cooking classes where he shares some of his culinary secrets. One bite, and patrons will shout, Bravo! Kent Monkan graduated from The Culinary Institute of America and went straight to work at Matthew’s, a Mediterranean restaurant in Trump Plaza. 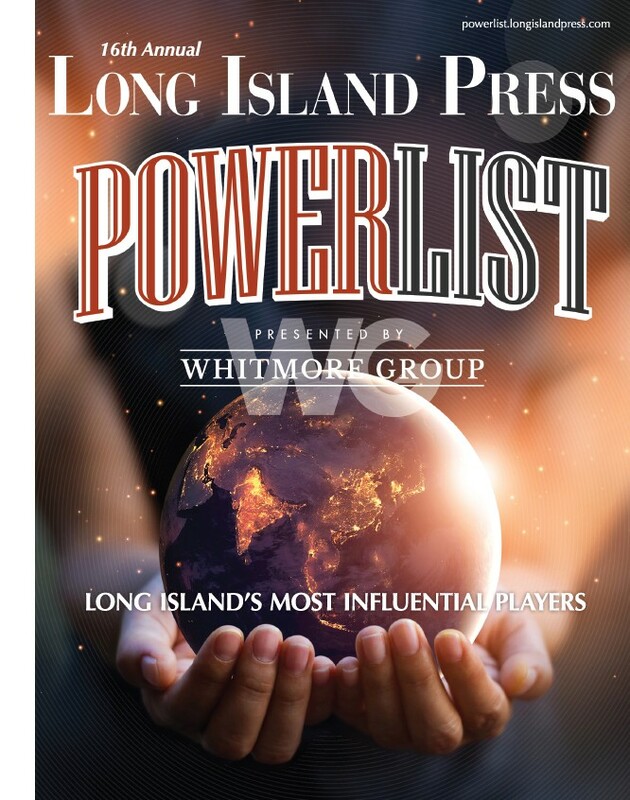 Shortly afterward, he began working for the now closed Panama Hatties, a local pub and burger spot that grew to become one of the top five-star restaurants on LI. During his nine years there, Kent improved from line cook to chef de cuisine as he also found success producing creative dishes. In 2005, Chef Monkan opened his own restaurant, Heirloom Tavern. He has since re-launched the venue, creating what he believes is the perfect recipe: the Brass Rail Bar. Michael Maroni was first hooked on meatballs when his Grandma made them for him as a child. Now, at Maroni Cuisine, he uses the same recipe daily in the restaurant he and his wife, Maria, own. Maroni boasts that “even people that don’t like meatballs eat these.” His meatballs became so famous that Bobby Flay got interested so he challenged Maroni to a “Throwdown!” Maroni subsequently prevailed, and he has been dishing out meatballs ever since along with an array of culinary delights. Maroni chooses not to have a set tasting menu at his restaurant; if you come to eat, not for take-out, waiters check your allergies and your preferences, and then Maroni brings about 25 small plates to your table, all prepared to perfection. It’s costly but it’s worth it. If you told Todd Jacobs when he was a child that he would become the chef of a restaurant that prides itself on locally grown ingredients and gluten-free, vegan, and raw options, he would have laughed. But after an eye-opening gastronomic experience in Chinatown when he was a teenager, Jacobs was set on becoming a chef. After graduating from the French Culinary Institute and working at several celebrated restaurants, he opened his own restaurant in Westhampton 20 years ago and never looked back. Fresh Hamptons is a collaboration with his yoga teaching wife, Lillian, in delicious and healthy eating. Jacobs’ dedication to local and salubrious food has earned him appearances on “Martha Stewart Living” on Sirius Radio and WE TV’s Taste This. Starr Boggs was going to be a football player. That is until a knee injury spun Boggs on a completely different trajectory towards his true passion: seafood. Boggs likes to cook anything different and unique, and presents only quality food at his eponymous restaurant. Serving Long Island for more than 30 years, Starr Boggs has placed its stake in Westhampton cuisine. Boggs is also a wine connoisseur, serving only the best pairing in his restaurant, which he still runs. Marc Bynum’s tale is a true Long Island Cinderella story. His only culinary training came from vocational school while he was still a high school student. Bynum worked at a number of beloved restaurants on the Island, such as Venue 56 and Prime. His first success came when he appeared on Food Network’s “Chopped,” winning two episodes and appearing on the season finale, “Chopped Champions.” Now, thanks to his growing popularity and culinary acclaim, Bynum has opened Hush in Farmingdale, serving his signature style dishes made with sensational organic ingredients. Gerry Hayden, after graduating from the Culinary Institute of America and becoming a well-respected executive chef at Manhattan’s Aureole, moved back to Long Island to open the North Fork Table and Inn with his wife, the James Beard Foundation Award winner and dessert expert Claudia Fleming. In 2014 Hayden was named a finalist in the James Beard Foundation Awards for best chef in New England–his fourth time–just a few years after he was first diagnosed with ALS. Despite losing the use of his hands in 2012, Hayden stayed true to his calling and remained a large part of the North Fork Table and Inn’s daily routine. The North Fork Table and Inn opened a food truck in 2013 to bring their cuisine to patrons all over the Island and reach a broader audience of food lovers than they could ever host at one table in Southold. Due to Hayden’s condition, he and Fleming decided to put the restaurant up for sale for some $3.8 million in September but so far no buyer has been announced. Hayden told a local paper on the East End that making that decision was “the hardest thing” he’s ever had to do, and for a chef who has striven for perfection in every dish he’s made, that’s saying a lot.